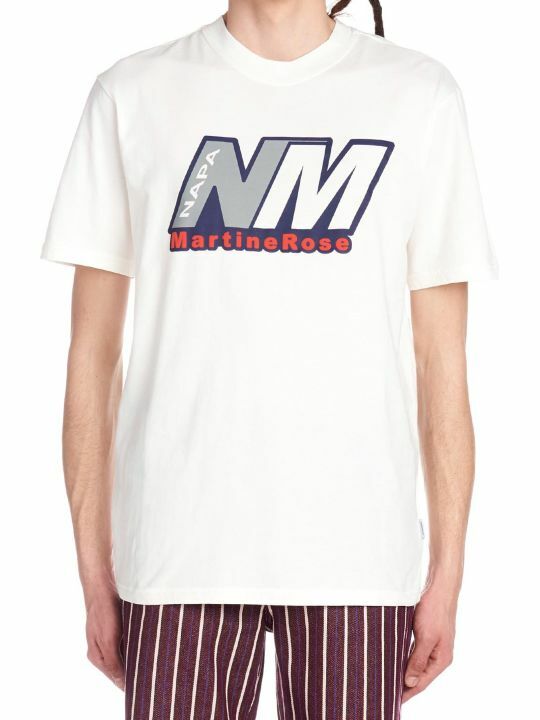 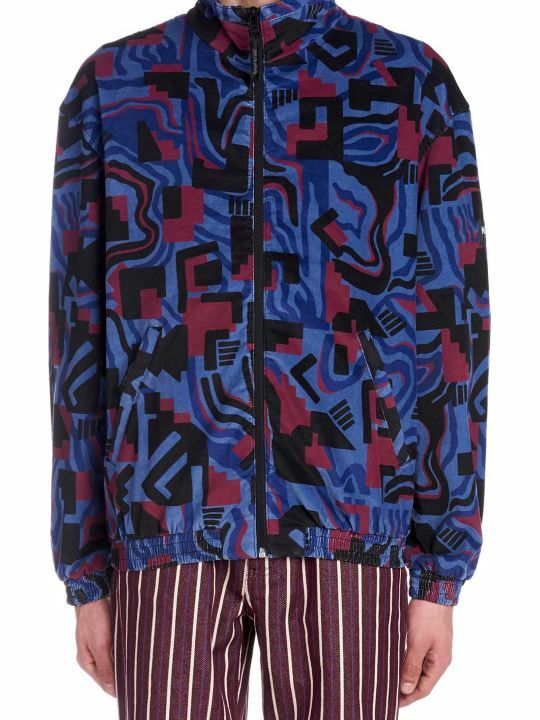 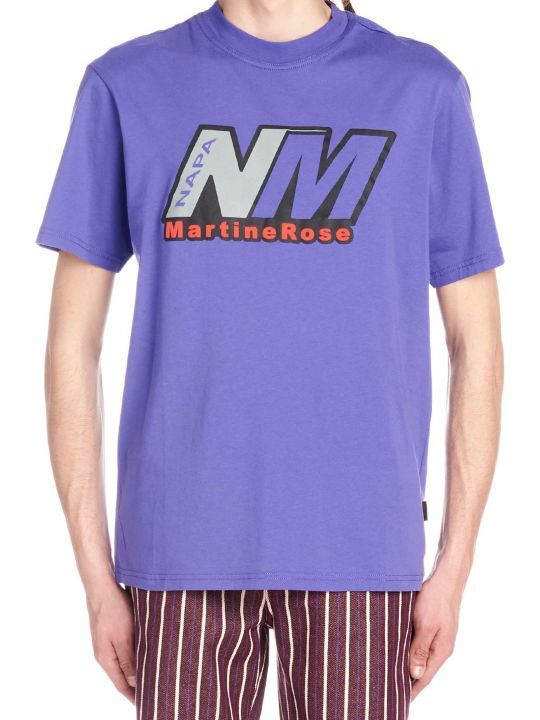 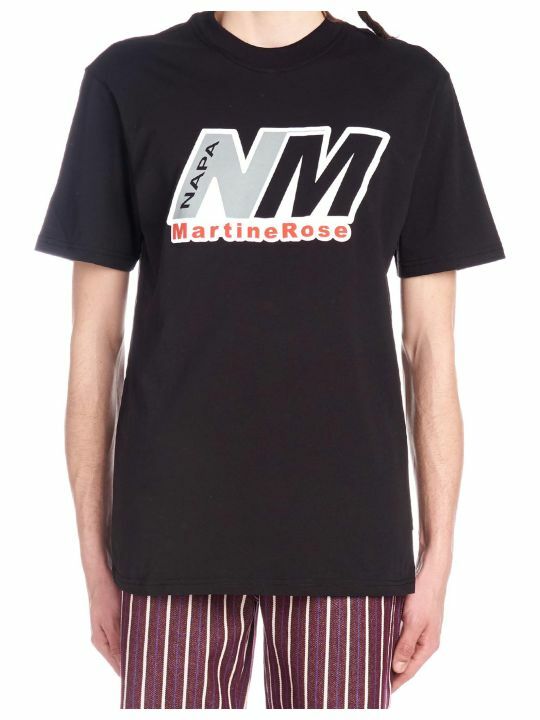 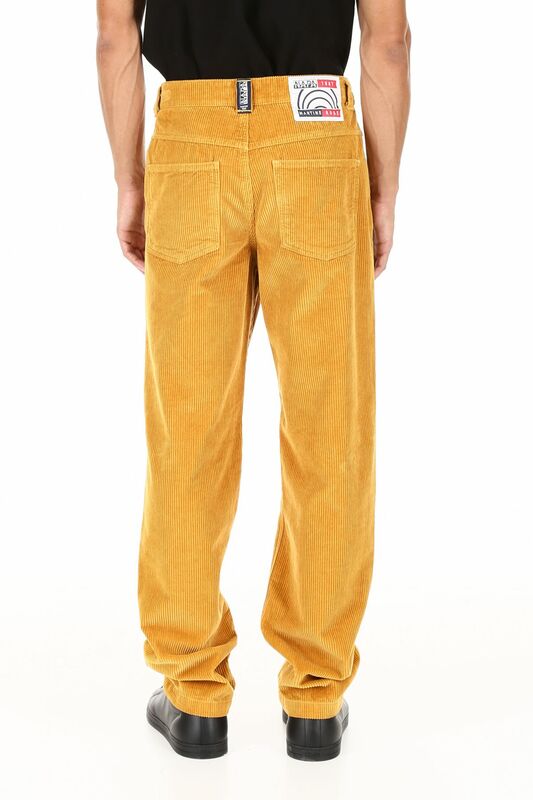 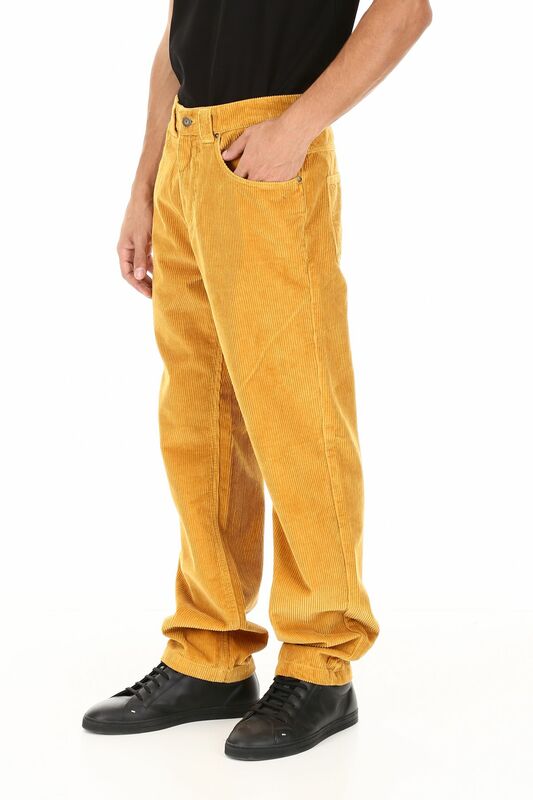 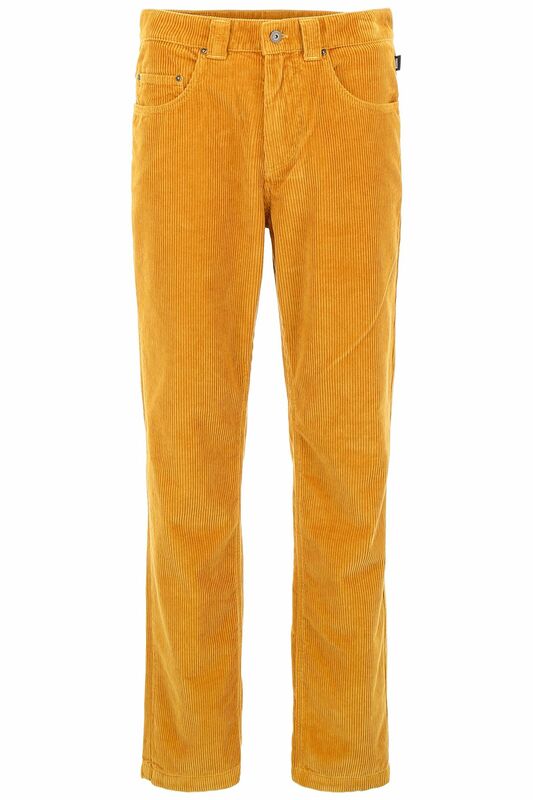 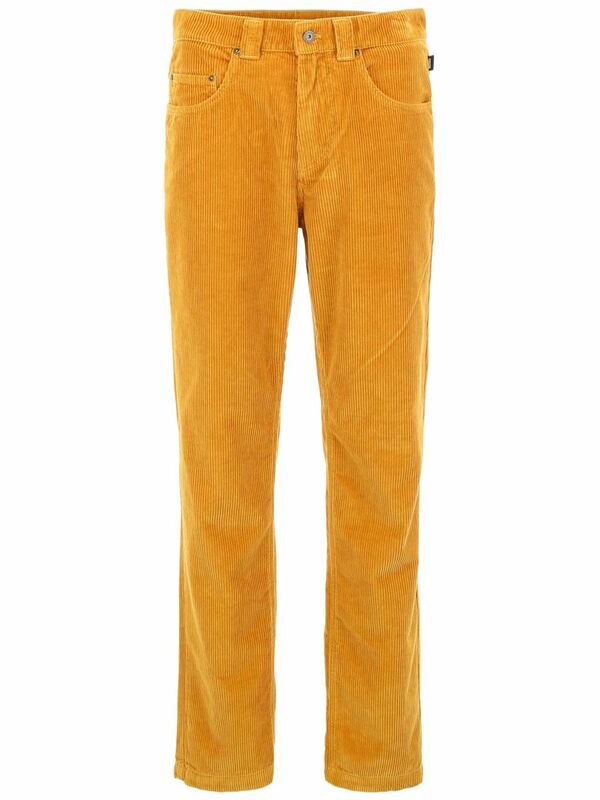 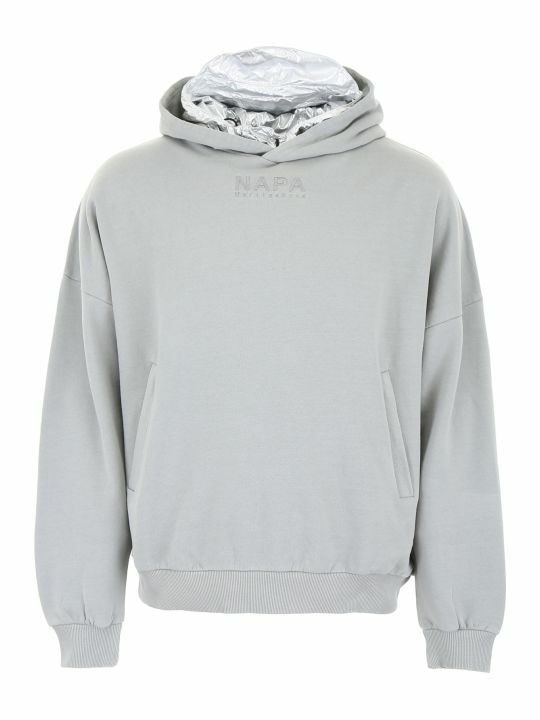 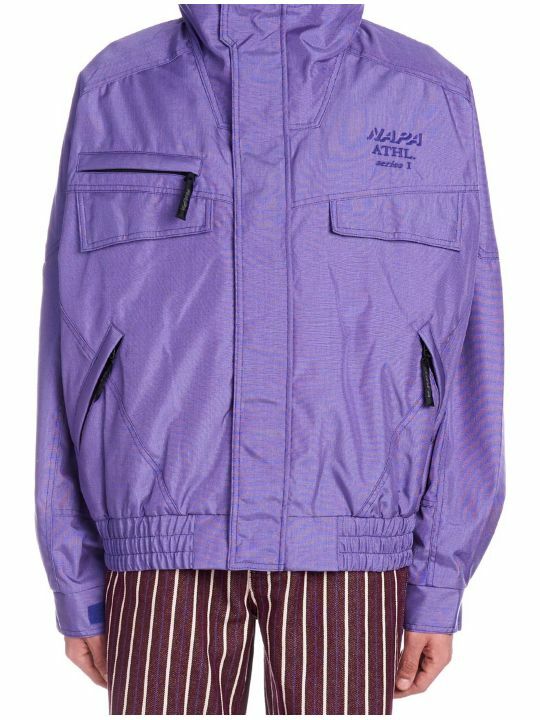 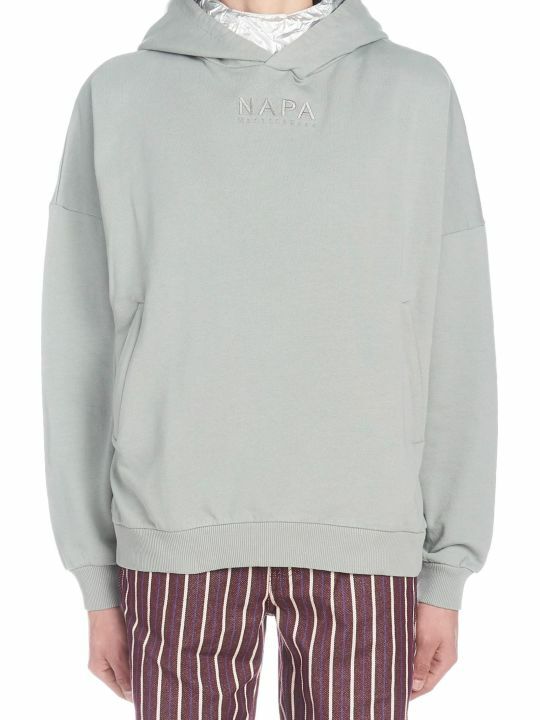 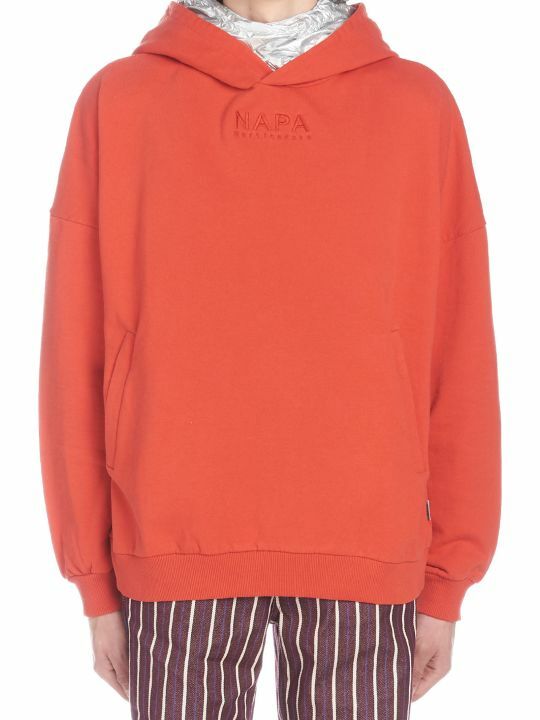 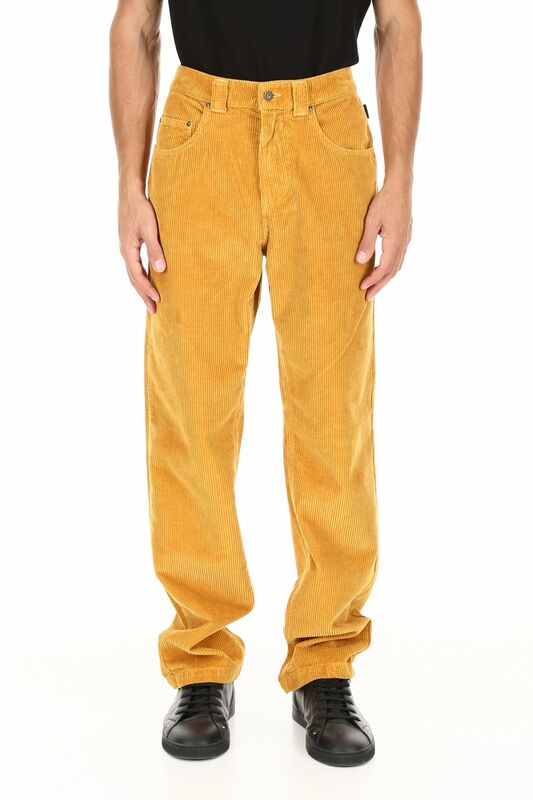 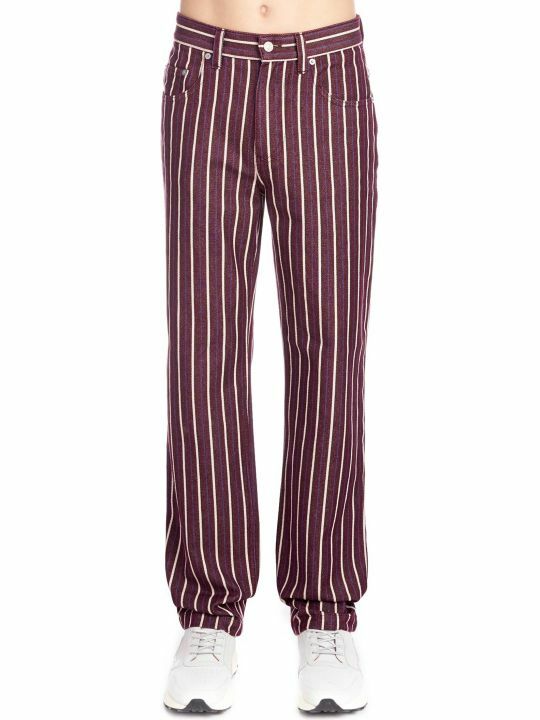 NAPA by Martine Rose cotton corduroy trousers with five pockets. 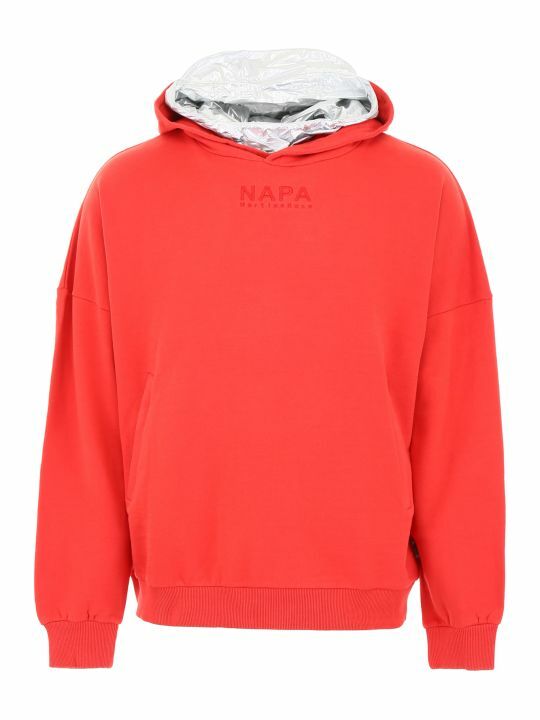 Zip and button closure, logo label on the back. 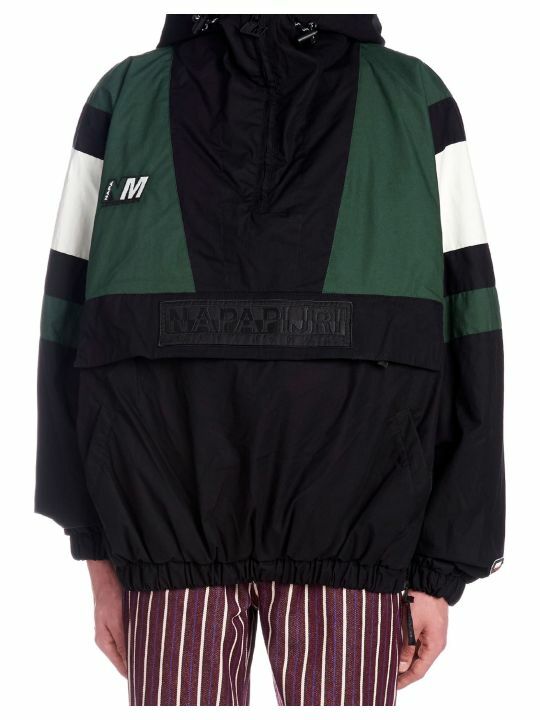 Model height is 182 cm and he is wearing a size M.